A respectable starter springer for the 2018 lineup. 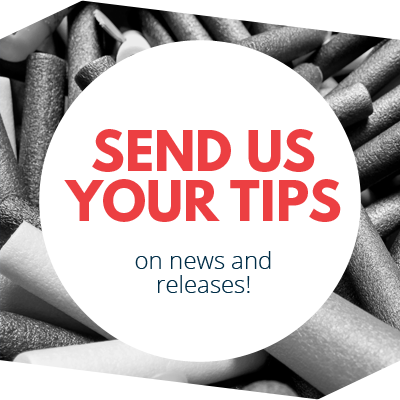 The first of the new wave of Nerf blasters is here! Kinda. I had to run to Canada to pick up a Delta Trooper, but US appearances shouldn’t be far behind. 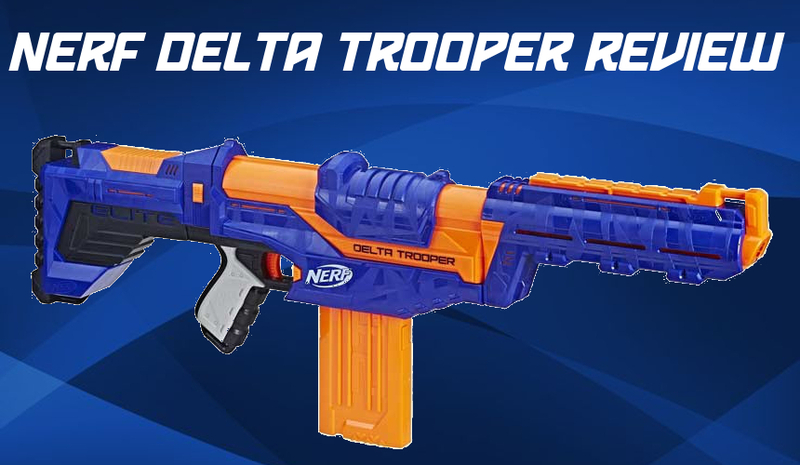 The Delta Trooper is the newest “base” spring-powered, magazine-fed blaster, and it carries over both the Retaliator’s basic operation and the Alpha Trooper’s slam fire capabilities. It does its job well, even if there are some things consumers might desire (pump-action priming, for one). And after a first day of not liking the design, it’s started to grow on me. The Delta Trooper is an amalgamation of its ancestors. It keeps the same basic platform as the Retaliator before it, coming with a stock, barrel attachment, and a twelve dart magazine. However, it also carries over the slam-fire of the Alpha Trooper. 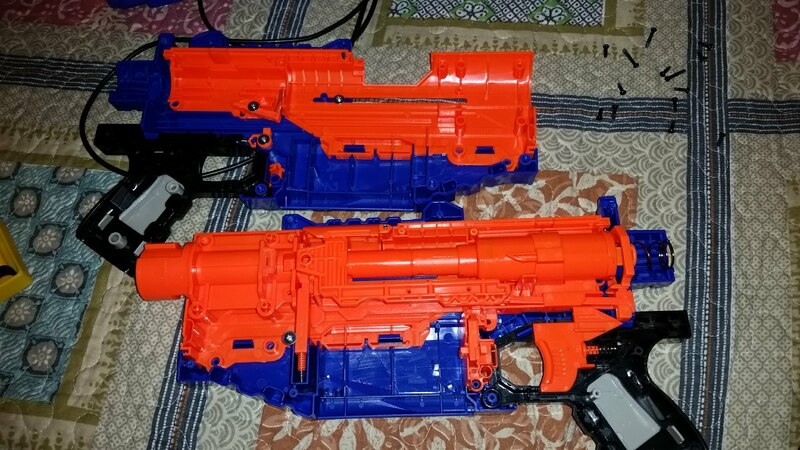 In keeping with the current design motif of the 2018 blasters (Infinus, Scout Mk.II, etc), it is blue and orange with molded “camo stripes” in the shell. The end result is a lengthy blaster with decent performance. I actually find the barrel attachment highly unnecessary – my off hand sits comfortably on the angled “grip” portion of the shell, and without any rails or pump grips of any kind on the bottom, the barrel is just…there. There is one tac rail up top, however. If you open up the Delta Trooper, you’ll hit a small snag. After removing all the visible screws, you have to slip the priming slide off of the bolt sled and over the next ridge in the shell. With that move, you expose the final screw, just behind the jam door. 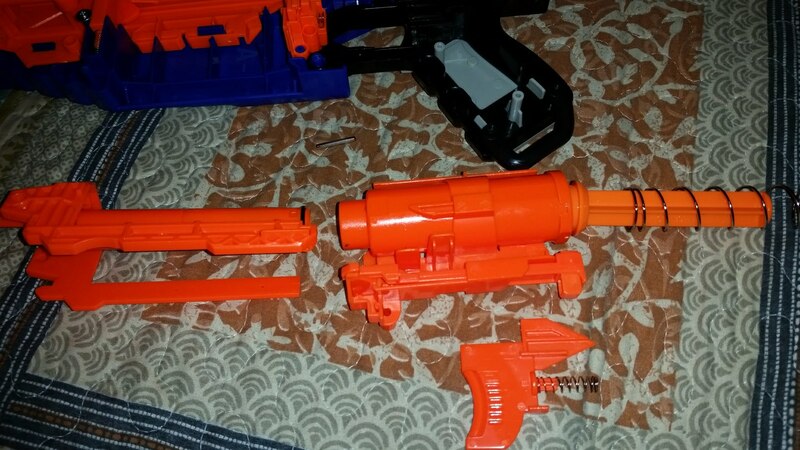 The internals are largely what you would expect after years of slam fire blasters, including the last one to be released (Nerf Modulus Mediator). There’s a trigger linkage that moves out of the way on priming, allowing the catch to engage so that the slam fire can work. There aren’t any real changes to the propulsion system from recent versions of the N-strike Elite line. It should be noted that the breech is clearly borrowed from the Alpha Trooper, including the long dart “stop” that sticks forward from the bolt. The ratcheting mechanism for ensuring full priming motions is also present (seen on the Surgefire and Mediator). I fully expect stock reliability on par with the Elite Alpha Trooper – with fresh ammo, there shouldn’t be any sort of jamming issues. Do note that in case a problem does arise, there is actually a button on the left side of the shell. It’s there for disengaging that ratcheting mechanism. That will allow you to pull back an already-primed blaster to clear out any problems. 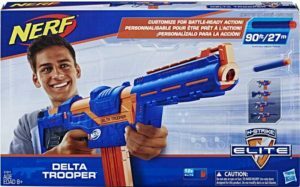 The Delta Trooper has consistent, respectable shooting. With very little deviation, all the Elite darts fired hovered around 75fps. Dart velocity was lower with the barrel attached – understandable, considering the length and diameter. Darts are bound to hit the inside of the barrel and lose energy. You can comfortably slam fire about three darts per second. The Delta Trooper is a respectable descendant of both the Alpha Trooper and the Retaliator. It’s comfortable to hold, easy to operate, and fires as fast as you can slide the priming grip. 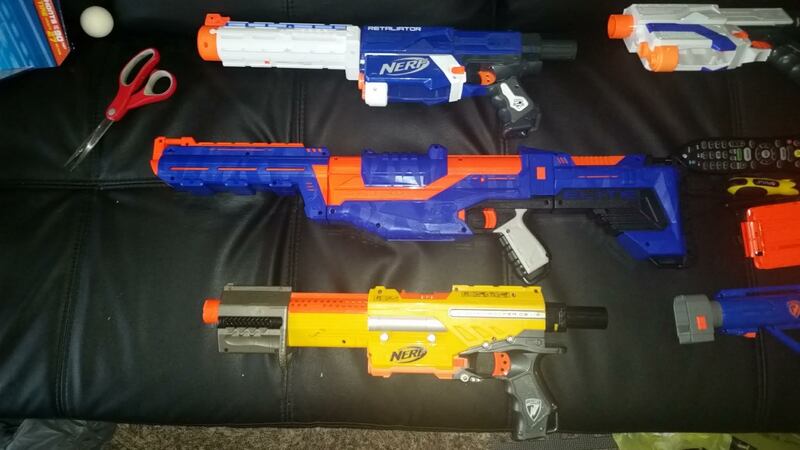 I may have preferred a pump-action blaster, but I’m sure there will be mods or aftermarket kits soon enough. Or you could just use a Retaliator barrel and kit and adapt that, if you like. My own personal desires aside, it’s a great blaster. 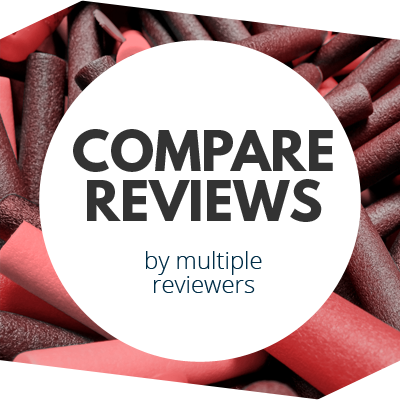 This entry was posted in Dart Blasters, Reviews and tagged 2018, blaster, blaster hub, delta trooper, elite, hasbro, n-strike, nerf, review on June 3, 2018 by BuffdaddyNerf. What’s the stock like? All I can see is that it’s possibly a bit longer than that of the Retaliator but I haven’t heard what it does other than be a stock (if anything). 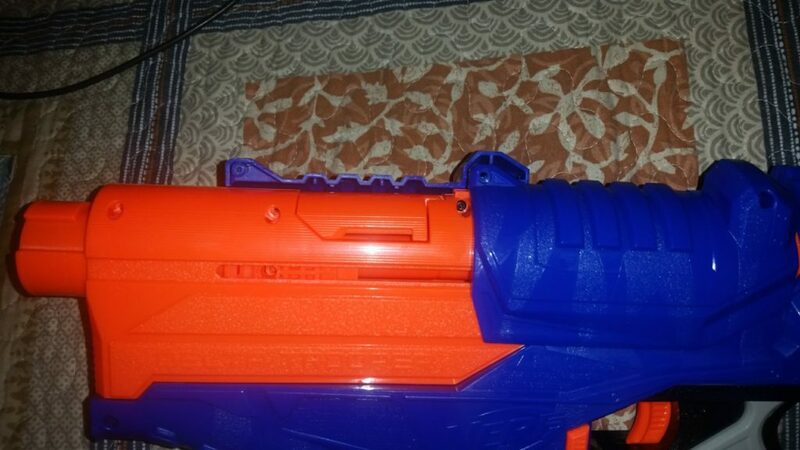 Zach King also has this blaster! Watch his Nerf arsenal tour video & you’ll see a Deltatrooper in his Nerf arsenal.